“Check out one of the best Hung Ga Kyun books I had pleasure to read in years (and download a free sample here). Hung Ga Story is a memoir of Alberto Biraghi and his martial arts journey. Alberto studied the traditional Hung Ga Kyun in Hong Kong with the late Grand Master Chan Hon Chung, spending with him more than a month per year from 1977 until the closing of his historic gym at 729 of Nathan Road” (Pavel Macek). 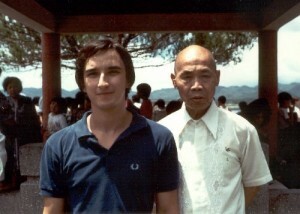 Are you curious about traditional Gung Fu training in Hong Kong in 1970’s and 1980’s? Alberto’s memoirs offer a unique insight into the world of the Southern Chinese Kung Fu, it’s training principles, application and philosophy. I would recommend this book to those who want to gain insight into the daily life of Hong Kong as a foreign kung fu student, and those searching for a break from daily life to take an amazing journey in time without ever leaving your chair. PS: all rights to this book were donated to Pavel Macek as a support of his precious work of research and divulgation on the Hung family style (Alberto Biraghi).